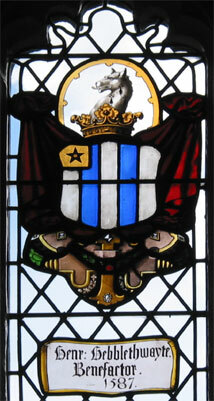 The mullet pierced (5-pointed star) is still used to mark Hebblethwaite Hall sheep to this day. 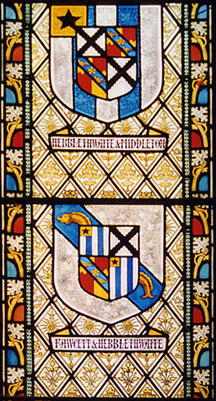 Harold Hebblethwaite, writing to the Sedbergh & District History Society in 1988, stated that there are at least three examples of the Arms: in the church at Kirkby Lonsdale, Cumbria; Bridlington Priory (Hatchments); and the old dining room at St John's College, Cambridge. 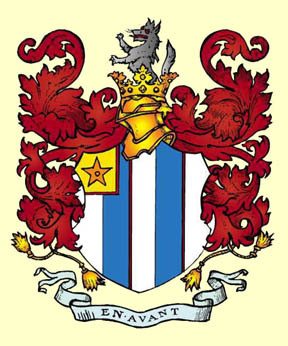 The heraldry is similar to the Lancastrian Plantagenets with the difference of the Canton d'Or and the Pierced Mullett.